FX has renewed Better Things for a 4th season. Three breakups and two engagements. That’s how Temptation Island ended. Is that a success? Hey Taraji P. Henson, STFU! How the Obamas are connected to the Jussie Smollett fiasco. The Writers Guild took another shot and the scumbag three-letter agencies and their packaging, this time with a video. If you need a breakdown of this fight the Writers Guild has waged, here it is. In a nutshell, “[t]here is a very big fight going on in Hollywood, but since it’s a standoff built around contract negotiations and entertainment-industry minutiae, you probably haven’t heard about it unless you scour the trades for fun. But this fight affects every person who writes and creates the shows and movies we watch. For the past two months, the labor union representing those writers, the Writers Guild of America, and the people charged with finding them jobs and negotiating their compensation — the agents who comprise the Association of Talent Agents — have been in a standoff to determine the future of their working relationship. They’re fighting, of course, about money, though the particulars of who gets that money and why are pretty complicated. And depending on how a WGA vote swings this week, there could be a mass separation from every Guild-represented writer in Hollywood and the agents who connect them with the studio money to get their stuff made.” Click the link for full details. MTV has ordered 90 more epsiodes of Nick Cannon Presents: Wild ‘N Out. The heavily promoted Million Dollar Mile premieres tonight on CBS. The RInger looks at this golden age of gross out TV. Wendy Williams is circling the drain. Wishing her well. From Realscreen: “Emmy Award-winning director and acclaimed Egyptologist Ramy Romany will journey across the globe to investigate secrets and myths of the most fascinating burial sites, mass graves and ancient tombs on Earth in a forthcoming Discovery Channel series. “Produced by Burbank’s Fight or Flight Studios, formerly Punch Drunk Pictures, Mummies Unwrapped will feature Romany (pictured) as he travels to ancient Egyptian tombs and Mayan mass graves to untangle the legends, myths, curses and cover-ups of our collective ancient past. “The series will also utilize cutting-edge technologies to introduce new theories about how ancient civilizations once lived and died while looking to unravel the origin of each mummy, the life that once was and determine what, if any, mystical forces or supernatural phenomena were involved. “Fight or Flight’s Rob Hill, Dave Greider, Scott Hartford and Romany serve as executive producers alongside Discovery Channel’s Daniel A. Schwartz and Michael Gara. Cameron Doyle is coordinating producer. Per The Hollywood Reporter, “Tiffany Haddish is teaming with Netflix to bring up-and-coming comedic voices to the world. “The breakout star of Girls Trip and Night School (and Hollywood Reporter Power 100 member) is executive producing a series of stand-up specials for the streamer. Titled Tiffany Haddish Presents: They Ready, the series will feature six of Haddish's favorite comics in half-hour specials. “Fellow comedian Wanda Sykes and Page Hurwitz, whose Push It Productions was behind the 2014 revival of Last Comic Standing on NBC, will also executive produce. The title of the series is a callback to Haddish's 2017 Showtime special She Ready! From the Hood to Hollywood, which came on the heels of Girls Trip. “The comedians featured in the series are Chaunté Wayans, April Macie, Tracey Ashley, Aida Rodriguez, Flame Monroe and Marlo Williams. Haddish has a history with all six, having worked with them in comedy clubs or on TV, and They Ready aims to bring more women, people of color and LGBTQ performers into the spotlight. “Push It Productions is also producing stand-up specials from Haddish and Sykes for Netflix. The company also produces Talk Show the Game Show for TruTV and stand-up series Unprotected Sets for Epix. Per TheWrap, “American Horror Story co-creator Brad Falchuk [and Gwyneth Paltrow’s husband] has inked a new multi-year overall deal with Netflix, leaving his longtime studio, 20th Century Fox. 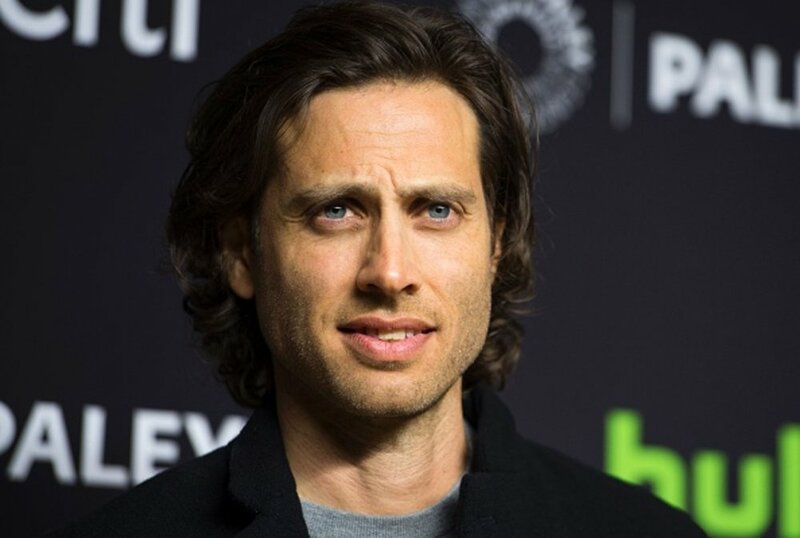 “The four-year deal, which reunites Falchuk with his frequent collaborator Ryan Murphy, will see Falchuk develop and produce new projects through his Brad Falchuk Teley-Vision banner. Terms of the deal have not been made public, but it is said to be worth somewhere in the eight-figure range. “Falchuk currently serves as executive producer on a number of ongoing 20th series, including AHS, Pose, 9-1-1 and American Crime Story, as well has the upcoming political satire The Politician for Netflix. “Falchuk is the latest big-name producer to exit his longtime home at a traditional studio in favor of a rich overall deal at Netflix, following in the footsteps of the likes of Murphy, Shonda Rhimes and Kenya Barris. Per The Chicago Tribune, “[s]oon after Cook County prosecutors made the bombshell announcement they were dropping all charges against “Empire” actor Jussie Smollett, Mayor Rahm Emanuel and Chicago police Superintendent Eddie Johnson addressed the news media. I’m sure we all know what occurred this morning. My personal opinion is that you all know where I stand on this. Do I think justice was served? No. And let me digress for a moment. When I came on this job, I’ve been a cop now for about 31 years. When I came on this job, I came on with my honor, my integrity and my reputation. And if someone accused me of doing anything that would circumvent that, then I would want my day in court. Period. To clear my name. My job as a police officer is to investigate an incident, gather evidence, gather the facts and present them to the state’s attorney. That’s what we did. I stand behind the detectives’ investigation. I’ll let Mayor Emanuel comment further. One thing is not only do I support the hard work of our police officers, the detective unit, I’d like to remind everybody a grand jury indicted this individual based on only a piece of the evidence that the police had collected in that period of time. So the grand jury, actually, brought the charges. I think there are two things, three things I’d like to say. Gay men and women who will come forward and one day say they were a victim of a hate crime now will be doubted. People of faith — Muslim or any other religious faith who will be a victim of hate crimes; people of also of all walks of life, of backgrounds, race, ethnicity, sexual orientation, now this casts a shadow of whether they’re telling the truth, and he did this all in the name of self-promotion. And he used the laws of the hate crime legislation that all of us collectively over years have put on the books to stand up to be the values that embody what we believe in. To then say, not only is the cost $10,000 doesn’t come close financially, but all the other repercussions of this decision made, I mean, where is the accountability in the system? You cannot have, because of a person’s position, one set of rules apply to them and another set of rules apply to everybody else. In another way, you’re seeing this play out in the universities, where people pay extra to get their kids a special position in universities. Now you have a person, because of their position and background, who’s getting treated in a way that nobody else would ever — (interruption) — that would ever get close to this type of treatment. Our officers did hard work day in and day out, countless hours, working to unwind what actually happened that night. The city saw its reputation dragged through the mud. But I remind everybody it was not just the officers’ work. That work, a piece of that work, was shown to a grand jury, and they made a decision based on only a sliver of the evidence. If I remember correctly, somebody wanted to have evidence and, as the superintendent said, their day in court so all of the evidence could be made public. Because of the judge’s decision, none of that evidence will ever be made public. None of it. This is without of doubt a whitewash of justice and sends a clear message that if you’re in a position of influence and power, you’ll get treated one way, other people will be treated another way. There is no accountability in the system. It is wrong, full stop. Reporter: Do you blame the state’s attorney’s office for this decision? Emanuel: What I do want to say is, the way I look at it is I commend the officers and the grand jury for their decisions. Reporter: Does Kim Foxx owe you an apology too? Johnson: Well, you know, at the end of the day, like I said, our job as police officers is to present them with the (inaudible). The apology comes from the person that did this. If you want to say you’re innocent of a situation, then you take your day in court. I would never, if someone falsely accused me, I would never hide behind a brokered deal, a secrecy, period. Reporter: But you guys didn’t have any heads-up about this at all, right? I mean, you found out about this today while you were here? Is it unusual for the state’s attorney to just drop the case like this without giving you guys some sort of heads-up? Johnson: I don’t know what’s unusual for the state’s attorney but we found out about it when you all did. Emanuel: From top to bottom, this is not on the level. It’s not on the level, but I want emphasize and underscore what the superintendent just said. At the end of the day, it’s Mr. Smollett that committed a false claim against upon two individuals — who also testified — but also on the city. One action, yes, we’re looking at the state’s attorney, it is not on the level from beginning to end and there needs to be a level of accountability throughout the system. And this sends an unambiguous message that there is no accountability, and that is wrong. Reporter: Don’t you think this was incredibly disrespectful? I mean, you work hand in hand with the state’s attorney’s office … every day. To think of the man hours that your detectives worked on this and to not get at least a phone call from her office saying, “Hey, this is what’s happening today.” Personally, how did you feel about that? Johnson: Well, you know. Prosecutors have their discretion of course. We still have to work with the state’s attorney’s office. I’m sure we’ll have some conversation after this. But again, at the end of the day, it’s Mr. Smollett who committed this, this, this, this hoax. Period. If he wanted to clear his name, the way to do that was in a court of law, so that everyone could see the evidence. You all know what the bond proffer said. You know, we all know what it said. So, you know, I stand by the facts of what we produced. If they want to dispute those facts, then the place to do that is in court. Not secrecy. Emanuel: … I wanted to say one other thing. Mr. Smollett is still saying that he is innocent, still running down the Chicago Police Department. How dare he?!? How dare him?!? After everybody saw — and I want to remind you — this is not the superintendent’s word against his. The grand jury, a sliver of the evidence and they came to a conclusion, as did the state’s attorney’s office. This is not the superintendent and the detectives, department, word against his! And even after this whitewash, still, no sense of ownership of what he’s done. He says that in fact he is the wronged (person) in this case. This is an unbelievable, not just whitewash of justice, this a person now that’s been let off scot-free, with no sense of accountability of the moral and ethical wrong of his actions, from top to bottom, not only to tarnish the name of the city. But then I cannot stress that in a time when you have people bringing a moral equivalency in Virginia between bigots and those fighting bigotry, and you have a person using hate crime laws that are on the books to protect people, who are minorities, from violence, to then turn around and use those laws to advance your career and your financial reward. Is there no decency in this man? Emanuel: Two things, one to the state’s attorney … the question about whether it was politically motivated or not, is something that you have to ask them, because only they can answer their motivation. But I do know what the grand jury says, and I keep pointing you back to what the grand jury did when they saw just a piece of the data. And I think there’s not a person up here who would love to have all the information made public. Let alone the two individuals who also talked. Question: Do you think it was politically motivated? Emanuel: Wait a second. It’s not whether I do or not. That’s a question that only she (Kim Foxx) can answer. I can only guess at it. To your question, if you’d mind repeating it? Reporter: Yes, his attorneys say he had been vilified, that the case against him was done in public, and he was being judged. Emanuel: He’s the person, he’s the person that brought this forward. Now, I remind you all, it goes back to also, a letter. Now, he brought this case forward. He said he was the victim of a hate crime, both for his sexual orientation and for being black. The evidence came forward, and (the) grand jury saw the evidence, realized this was a hoax — a hoax on the city, a hoax on hate crimes, a hoax on people of good values who actually were empathetic at first. And he used that empathy for only one reason — only one reason. Emanuel: Just listen, I’m going to close on this. We just had one of the largest ceremonies for the Police Department in the history of the city, 297 men and women. The most diverse class, representing all parts of this city. People from all walks of life and background and faith, who said they want to serve the city and serve the values of the city and help serve others in time of need. They are there to uphold the law and their best training to do that. And I draw to you in that contrast, people of all walks of life as I said, graduates of our public schools, kids who grew up with parents who were police officers veterans of the armed forces who have a life of service. They were there to not only to uphold that law, but the values that imbue and inform those laws.